Elderly (65 years and older) obese patients are expected to be at high risk for bariatric surgery. 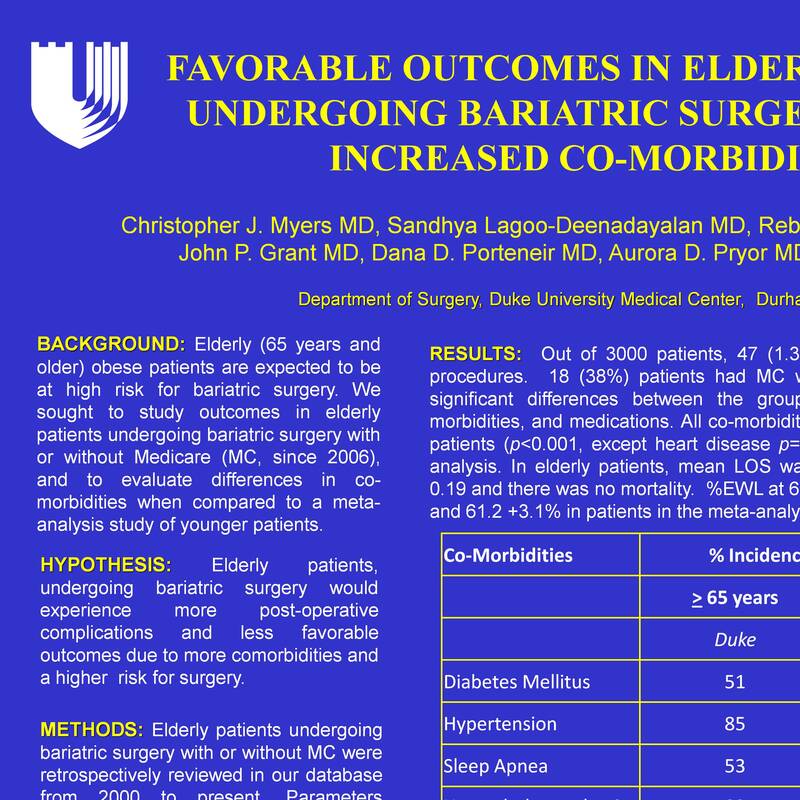 We sought to study outcomes in elderly patients undergoing bariatric surgery with or without Medicare (MC, since 2006), and to evaluate differences in co-morbidities when compared to a meta-analysis study of younger patients. Elderly patients undergoing bariatric surgery with or without MC were retrospectively reviewed in our database from 2000 to present. Parameters studied included pre-operative weight, co-morbidities, medications, length of stay (LOS), complications, mortality, and percent excess weight loss (%EWL). Incidences of co-morbidities were compared to a meta-analysis review of 22,094 patients between the ages of 16 and 64 (JAMA, 2004, 292:1724). Student’s t and Chi-square tests were used to compare continuous and categorical variables respectively.